Energy needs are increasing worldwide, and making optimum use of the various resources we have is essential. These are complex issues that require expertise from experienced specialists and multidisciplinary holistic solutions. MOE can provide complete technical solutions at all levels, and we have extensive experience with sustainable energy sources such as waste to energy, solar heating systems and biomass-fired plants. The city of Copenhagen aims to be the world’s first CO2-neutral capital city by 2025. 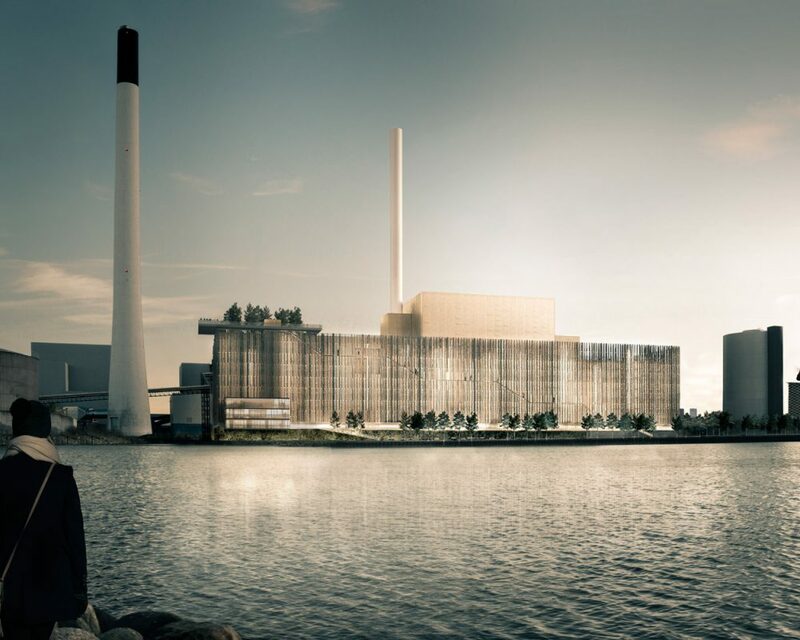 With this goal in mind, HOFOR, who supply district heating to more than 500,000 Copenhagen residents, want to convert the Amager Power Station from coal to sustainable energy. This implies the construction of a brand new biomass fuelled power plant block, called BIO4. Apart from the block itself, the building project includes new administration-, transportation-, laboratory-, storage- and port facilities. Services Engineering consultancy on all construction- and civil works, construction management and health and safety coordination. 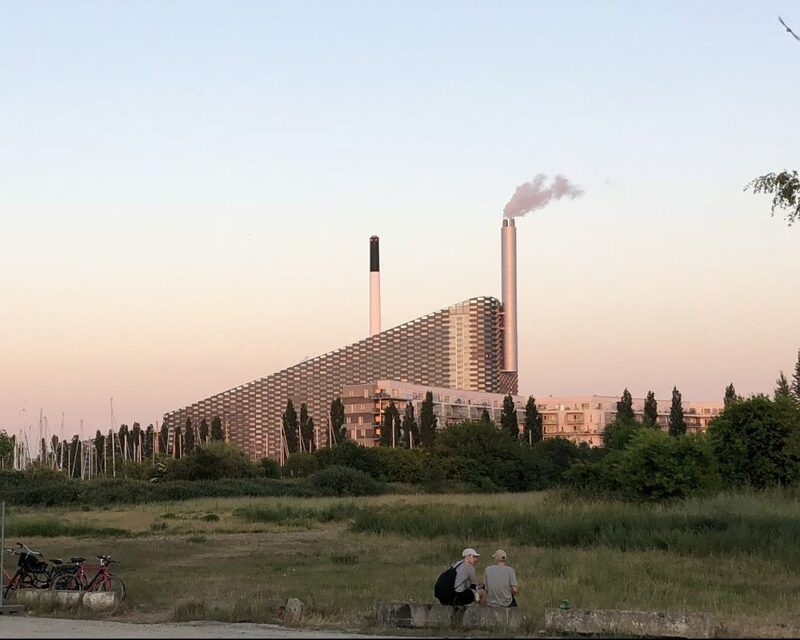 With a floor area of 43,000 m2 and a height of 85 m, Copenhagen´s new incineration plant and ski slope can truly be described as a noteworthy and spectacular addition to the architecture of the city. In addition to the skiing facility, space has been provided for a viewing platform, activity trails, a street kitchen and a climbing wall on the side of the building. 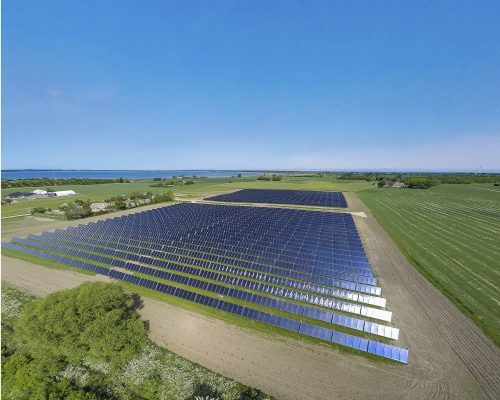 We helped build four solar heating systems in Zealand and the islands plus two in Jutland. Solar heating is considered one of the most climate-friendly forms of energy and in several places account for up to 20% of the annual consumption. 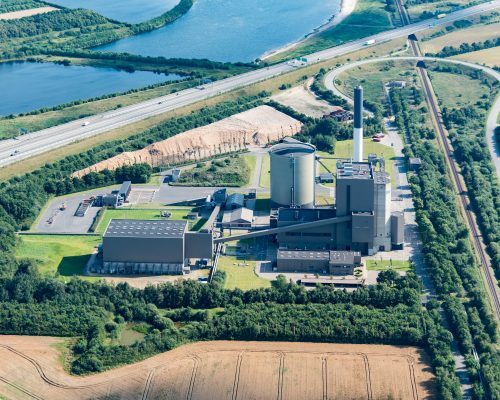 With the new flue gas condensation plant, Herningsværket can now reduce the consumption of wood chips and wood pellets with 20% and still supply the same amount of heating to Herning, Ikast and Sunds. MOE is the consulting engineer on the building and construction work at the expansion, and we also deliver expertise within machine and process at the establishment of the plant. Services Consulting engineering on building and construction works, client consultancy and expertise within machine and process. 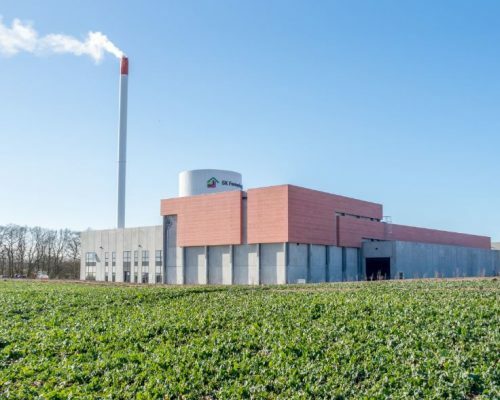 We helped build numerous biomass plants from a bare ground to finished production facility. Services Client consulting, district heat consulting, ekspertise in biomass.